My fitness journey hasn’t been easy, but it's shaped my fitness philosophy to be quite different. First, let me tell you about myself and how I got to where I am. For as long as I can remember, I was active and played sports. Dance, gymnastics, softball, basketball and volleyball—you name it, I tried it. Unfortunately, I was never great at any of them, but I kept active because exercise made me feel good about myself. These old pics are of my sports days. On the right, that’s me in 6th grade rec. league softball. On the left, high school JV basketball. 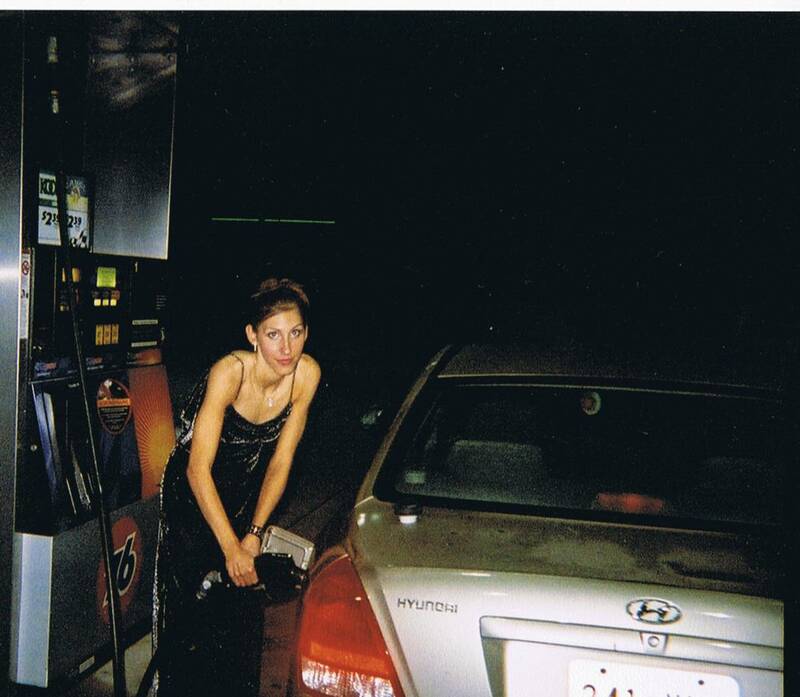 As you can see, I was never a skinny girl (and pretty goofy if you ask me), but I was strong. Despite my positive attributes, I've always been apprehensive about my body. My father’s genetics blessed me with a medium frame and tall height, but my mother’s genes gave me curves. I developed much faster than other girls, and in the insecurity of middle school and high school, curves draw attention—sometimes the unwanted kind. I didn’t fit the 90’s and early 00’s magazine-cover, wafer-thin, bird-like image that I grew up exposed to daily in the media. To quell my body issues, in fourth and fifth grade, I took modeling classes and started reading fashion magazines (Seventeen, in particular). To this day, I blame them, and not my parents, for fostering the unrealistic body expectations I created over the coming years. One of the first issues of Seventeen Magazine I ever owned. Even though he's kind of a freak show now, I still swoon for Jared Leto. In fact, I had wonderful parents who supported me and constantly promoted my self-esteem. They did, however, push me harder academically than my younger sister, which led to my obsession with achieving perfection (perfect paper = perfect grades = perfect student). I quit modeling and continued to read magazines, play sports, and work toward academic perfection. In high school, despite my participation in sports, I became increasingly dissatisfied with my muscular and curvy body. Junior year, I experienced my first serious heartbreak, which was the catalyst for the eating disorder I had been incubating in my psyche for so many years. I look healthy, sort of, right? Mentally, I was a wreck. For anyone who wants to know what an eating disorder is like, do this—only eat an apple and two crackers everyday for six months, run/walk several miles every day, stay home every night, never eat out for fear that the fat from the restaurant will somehow contaminate you, and delete all the phone numbers in your cell phone because all of your friends will eventually drop you and/or gossip about you behind your back. They will say that you have become anti-social, depressing to be around, obsessed with food and working out, and above all, TOO SKINNY. If you want the full eating disorder experience, you might as well tell your family that you hate them a few times a day, because your actions will certainly speak to this. I could write volumes on the damage an eating disorder does to the body. I went from a curvy size 8 to a size 1. My breasts went from a full 36D to a 34A. At my lowest, I weighed 117 pounds. Total, I would estimate that I lost about 50 pounds over four or five months. At my lowest point. Note the bony elbows--the hallmark of an eating disorder. Slowly, my body ate away the muscle built through years of sports, and my ribs, elbows, knees and hips started protruding. It’s still hard to look at these pictures of myself at my near-lowest. People constantly complimented me on my thinness. Their compliments haunt me to this day. 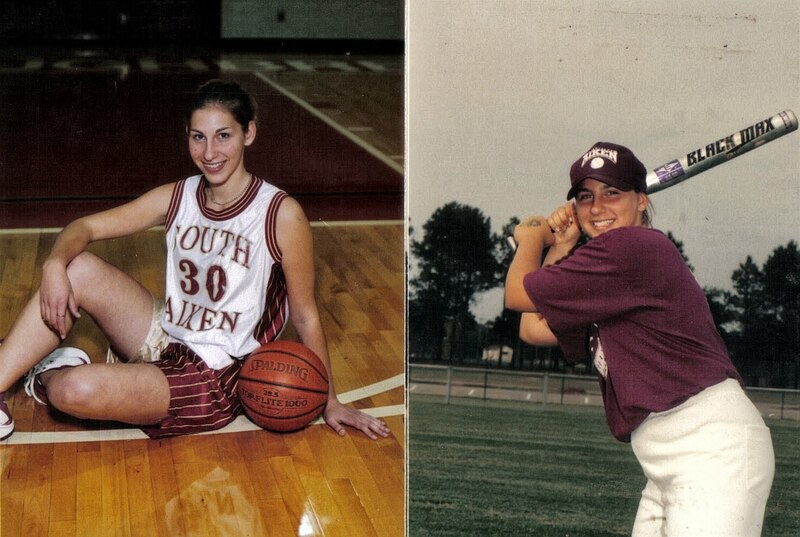 When the eating disorder was in full gear, I stopped playing sports because I became too uncoordinated. I rationalized it was because I was never that good at them anyway. I hit rock bottom when, after a long day starving, purging, and moving, I could not get myself off the couch because I was THAT hungry. My body literally had no energy in it. I had fully become someone else. In this pic, I'm passed out by the hot tub because my emaciated body couldn't take the heat. SCARY. I was killing myself slowly and painfully and probably would have died if it were not for my sister, who called me out on Mother’s Day 2002 in front of my family. I hated her for MANY months after that, but in retrospect, I see that she cared for me the most to do what she did. Then began the LONG recovery. I was in therapy, seeing a doctor, and seeing a nutritionist. From the onset, it’s important to note here that after my outing, I didn’t want to get better. I was embarrassed, ashamed, depressed and still in denial. I was told to gain weight and had to eat many times a day-- which for most people would be a heavenly order--except for eating disorder patients, it’s a mental hell. Of course to squelch that, the only cure is to NOT work out as much. When my parents found about my subsidiary problem, they cut me off from the gym cold turkey for two weeks. I was told that I could not work out AT ALL. Like I said, this probably sounds fabulous, but to someone with OCD, it’s the end of the fricken universe. When I could exercise again, I was put on strict regulations by my nutritionist. She said I had to limit it to one hour a day, 3 days a week. I figured that I could get more bang for my exercise hour in a group fitness class. I remember wandering in to the first class—a little intimidated because no one (not even the instructor) talked to me. I was HOOKED. I loved the music, the group motivation, and the moves! Group fitness became my recovery tool. I think it cured my fitness obsession. She invited me to a teaching clinic she was holding and within three months I was certified and teaching group fitness. And the rest is history as they say! This is one of the flyers I made for my group fitness program when I taught fitness in undergrad. I was putting my art minor to good use! It's been over fifteen years now, and I am fully recovered. I’ve gained all of my weight back and I’m proud of it. I’ve become the confident, curvy, full-figured woman I was meant to be. I still have a few nagging self-esteem issues, but my past always puts things in perspective. Every so often I see that uncoordinated participant in the back of the room, who is slugging along with the choreography, whose eyes are sunken in and hollow, and who can’t keep up the pace and is too thin for their frame and I relive my eating disorder all over again. I want to reach out to them, but it's tricky. You have to want to get better and be healthy. I made the decision to take healthy control over my body and myself. Today, I'm at my "happy weight" and loving my curves. I take pride in what my body can do—it's power, talents, and how it can be used to help others reach their fitness goals—and NOT in the number on the scale. Group fitness not only makes me feel powerful, but helped to save my sanity and my life. To read my fitness philosophy, click here.